This volume explores one of the most critical issues of our time: whether heritage can contribute to a more peaceful society and future. It reflects a core belief that heritage can provide solutions to reconciling peoples and demonstrates the amount of significant work being carried out internationally. 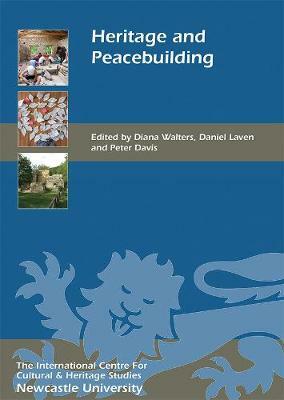 Based round the core themes of new and emerging ideas around heritage and peace, heritage and peace-building in practice, and heritage, peace-building and sites, the twenty contributions seek to raise perceptions and understanding of heritage-based peace-building practices. Responding to the emphasis placed on conflict, war and memorialization, they reflect exploratory yet significant steps towards reclaiming the history, theory, and practice of peacebuilding as serious issues for heritage in contemporary society. The geographical scope of the book includes contributions from Europe, notably the Balkans and Northern Ireland, the Middle East, and Kenya. Diana Walters is an International Heritage Consultant and Honorary Senior Research Fellow at the University of Exeter; Daniel Laven is Associate Professor of Human Geography, Department of Tourism Studies and Geography/European Tourism Research Institute (ETOUR), Mid Sweden University; Peter Davis is Emeritus Professor of Museology, Newcastle University. Contributors: Tatjana Cvjeticanin, Peter Davis, Jonathan Eaton, David Fleming, Seth Frankel, Timothy Gachanga, Alon Gelbman, Felicity Gibling, Will Glendinning, Elaine Heumann Gurian, Lejla Hadzic, Feras Hammami, Lotte Hughes, Bosse Lagerqvist, Daniel Laven, Bernadette Lynch, Elena Monicelli, Yongtanit Pimonsathean, Saleem H. Ali, Sultan Somjee, Peter Stone, Michele Taylor, Peter van den Dungen, Alda Vezic, Jasper Visser, Diana Walters.